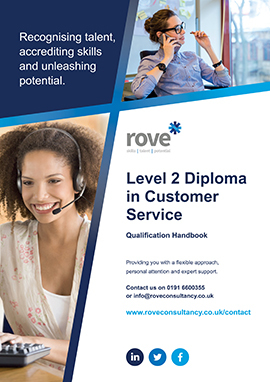 The demand for customer service exists in all sectors of industry and commerce in the UK. Due to the diversity of customer service job roles and the generic ‘all sector’ nature of customer service standards, at least three million people work in this area. Is this qualification is right for me? This qualification is a combined qualification which means that it is linked to your ability to carry out your role. It assesses both your knowledge and skills. You will also be allocated a Tutor (subject specialist) who will support and guide you during your qualification and will carry out assessments of your work activities. You will also be provided with an account for our web-based system which allows you to access learning and study support materials and much more.